The work of Dr Makoto Shichida is highly relevant to our purposes as it provides the scientific basis underlying the exercises we do. Not only that, he has also provided a wealth of exercises which have been adapted for a workshop format. What is the Shichida Method ? Prof. Celeste Matthews who was trained by Dr Shichida, provides a very detailed explanation about the work of Dr Shichida. 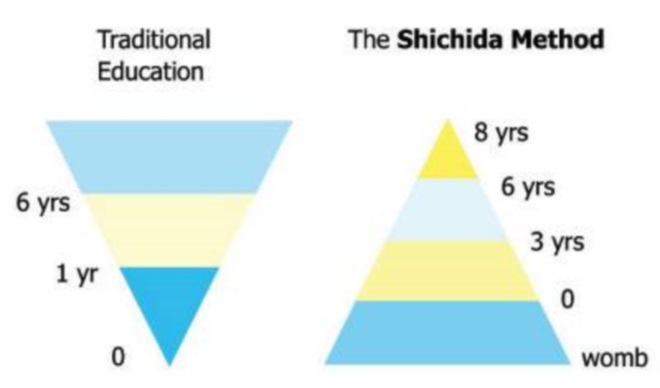 It is hard to find infomation about the Shichida Method outside of the Shichida Centres. However, we have been very fortunate to find some detailed notes by two parents who attended the course as well as a few sample lesson plans. 'Right Brain Education: Shichida or Not Shichida? Which is the Best School?